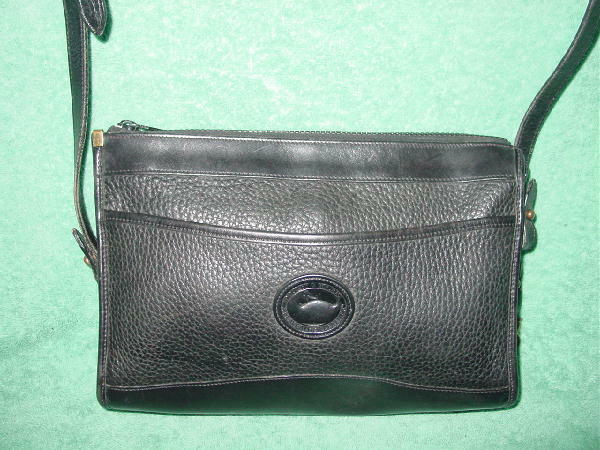 This black leather vintage Dooney & Bourke purse has a top side to side zippered closure and was made in the USA. 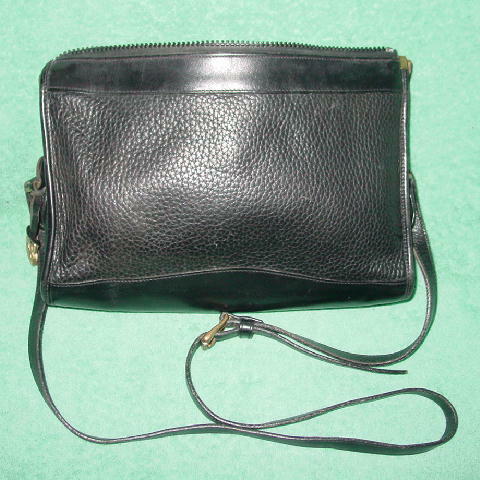 The leather lined interior has two sections, a large open center one and an interior front one which has a tab closure. 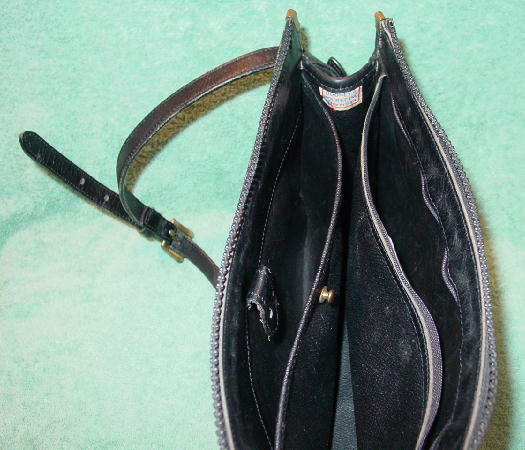 The back interior has a very large zippered compartment. The front exterior has an open compartment with an elevated logo patch with the duck and Dooney & Bourke All Weather Leather. 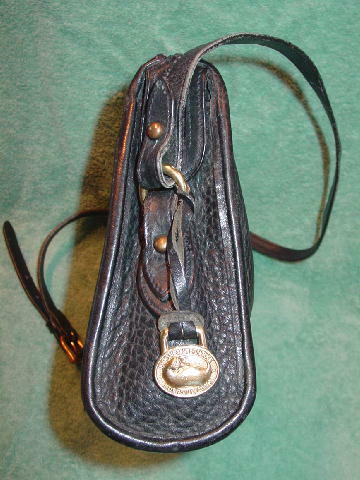 It has a 50" long by 1/2" wide leather shoulder strap (45" in current configuration) with a solid brass buckle and brass rounded brads with Dooney & Bourke etched on the back. It also has a leather strap which holds a gold-tone logo ornament. The edging, strap, and smooth and textured leather have some scuff marks. The Dooney & Bourke made in the USA tag with serial # A7 747502 on the back is attached to the upper left side.